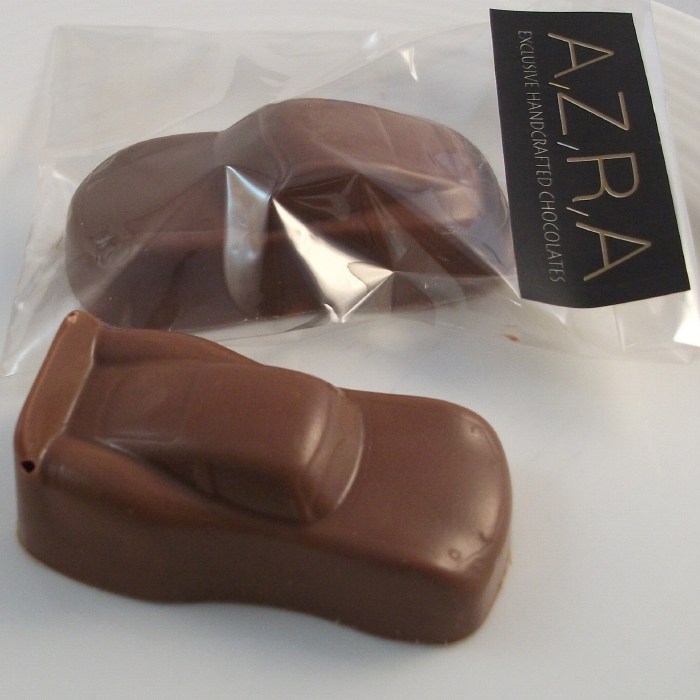 Solid chocolate cars made out of delicious Belgian chocolate, perfect gift for car lovers and little boys! These chocolate cars are available in milk, white and dark chocolate, each car is individually wrapped in a cellophane bag. Please note that the minimum order quantity required for this item is 10. Milk chocolate min cocoa solids 33.6%, min milk solids 20.8% Sugar, cocoa butter, whole (MILK) powder, emulsifier, (SOYA) lecithin, vanilla flavouring. Weight/ size Weighs approx 30g. Length of car is approx. 6cm. 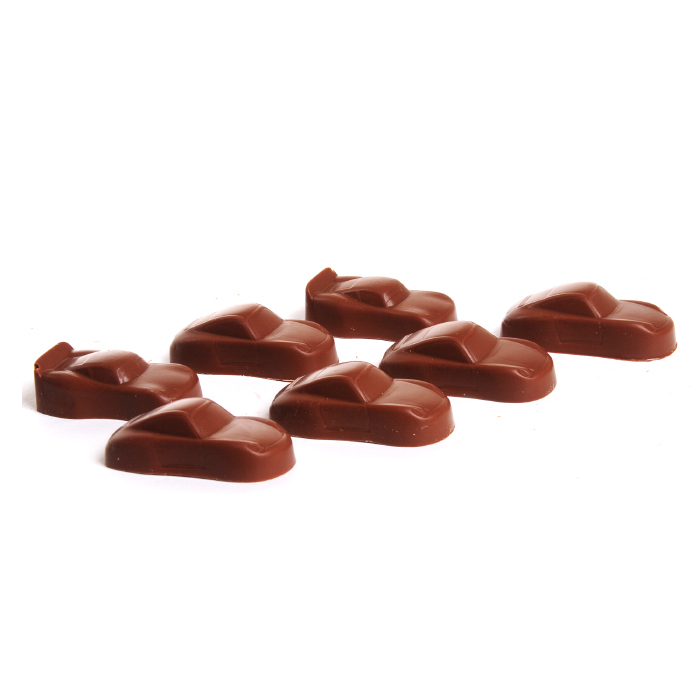 Minimum quantity for "Handmade Chocolate Car Favours" is 10.